The Kelly family of radionic analyzers are equipped with a variety of features and capabilities. 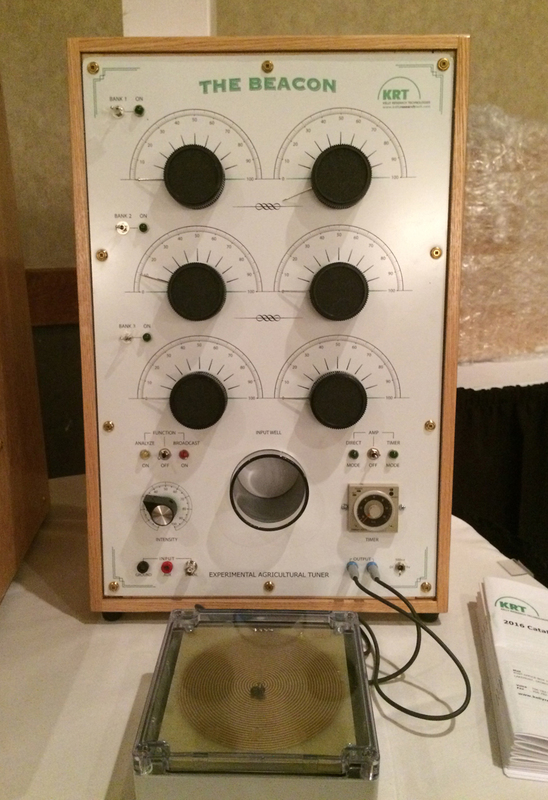 In this way we strive to ensure there is a radionic instrument suitable to any need and resources. Please click here for a detailed comparison of all four instruments. The all-new Mk 2 Seeker is a deluxe two-bank instrument with 360-degree “round dial” rate dials that allow exploration and documentation of “lower dial” rate groups found within the two-dial rate system popularized by T. Galen Hieronymus. 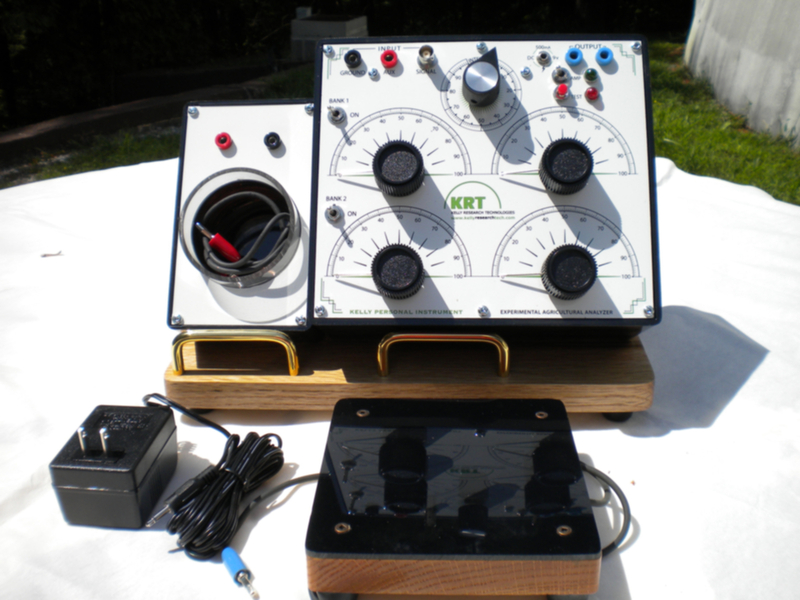 New in 2017, this unit has all of the features, flexibility, and the easy-to-use connection system found on the Kelly Personal Instrument in a streamlined oak case. The Seeker also has the convenience and accuracy of an on-board adjustable timer, plus the power and unlimited growth potential of a 32 Phase (4-Plate) Perfect Spiral Antenna. All-new in 2017, the Mk 2 Beacon was developed as a direct response to requests for a powerful three bank instrument with all of the essential features needed by a daily user, including the silver Sephorah geomantic signal multiplier, an adjustable timer with a range from 1.2 seconds to 300 hours, an external 32 Phase (4-Plate) Perfect Spiral Antenna, and a secondary spool-style antenna. New in 2017, this instrument features the easy-to-use connection system found on the Kelly Personal Instrument in a streamlined oak case. Fully compatible with all KRT accessories. A three-bank subtle energy powerhouse designed for daily management of agricultural assets, including crops, herds and other animals. Featuring silver Sephorah geomantic amplification circuit. Integrated subsystems include a homeopathic potentizer, pulse frequency generator, scalar field interference detector, magnetic clearing circuit, an adjustable timer with a range from 1.2 seconds to 300 hours, and an internal 32 Phase Perfect Spiral Antenna, all in a beautiful oak cabinet. Need more broadcast power? Every Seeker, Beacon and Workstation comes equipped with a 32 Phase (4 plate) Perfect Spiral Antenna array. Save big by upgrading to a 40 or 48 phase array at the time of purchase! 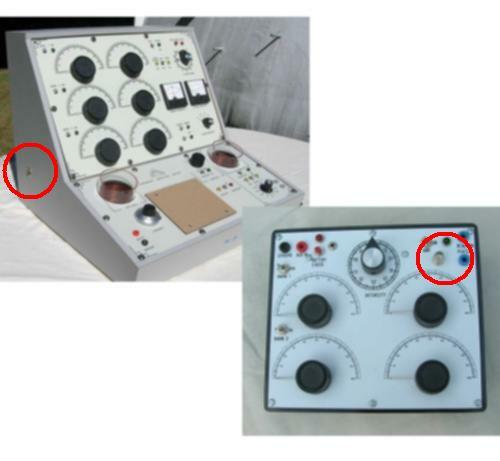 Since 2001, the amplifying coils at the heart of all Kelly radionic instruments utilize a Sephorah - a geomantic signal multiplier made from 99.9% pure sheet silver using technology drawn from the ancient Kabbalah. 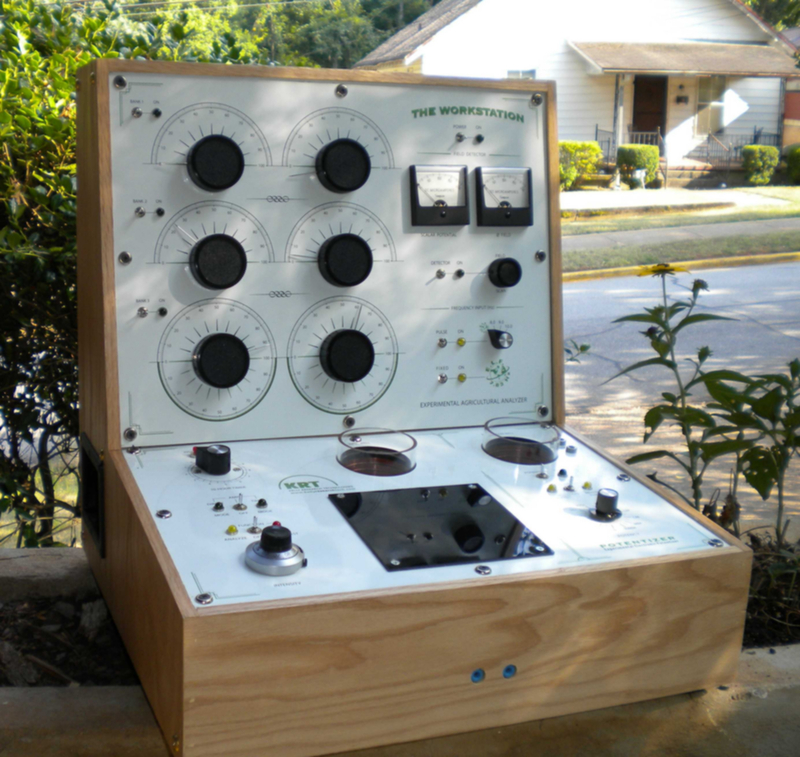 The Sephorah also serves as a Faraday cage for the coil inside, a highly conductive surface that reroutes external signals and stray patterns of information around the sensitive scalar circuit. 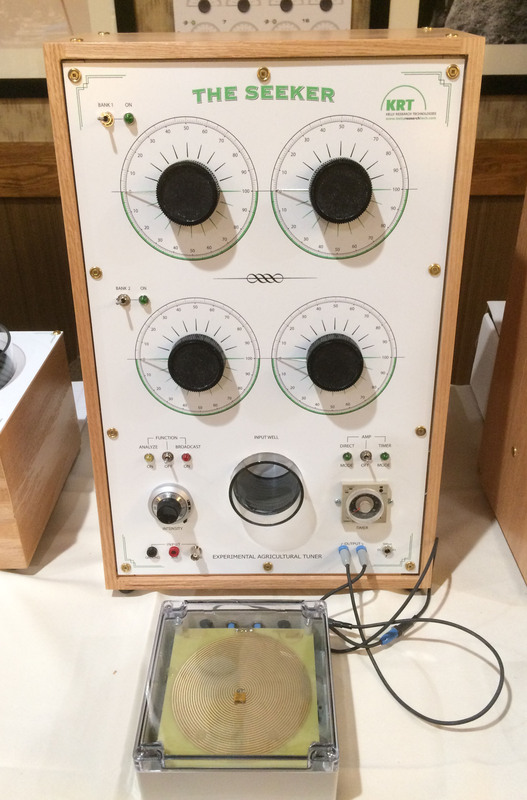 These units also feature a BNC input port for integration of standard spectrum electromagnetic frequencies and/or music into your radionics broadcasts. Owners of older Kelly Analyzers may choose to upgrade their units to include the silver Sephorah signal multiplier and BNC technologies. 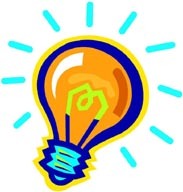 Upgrades include inspection, cleaning, recalibration and bench testing of the entire analyzer. 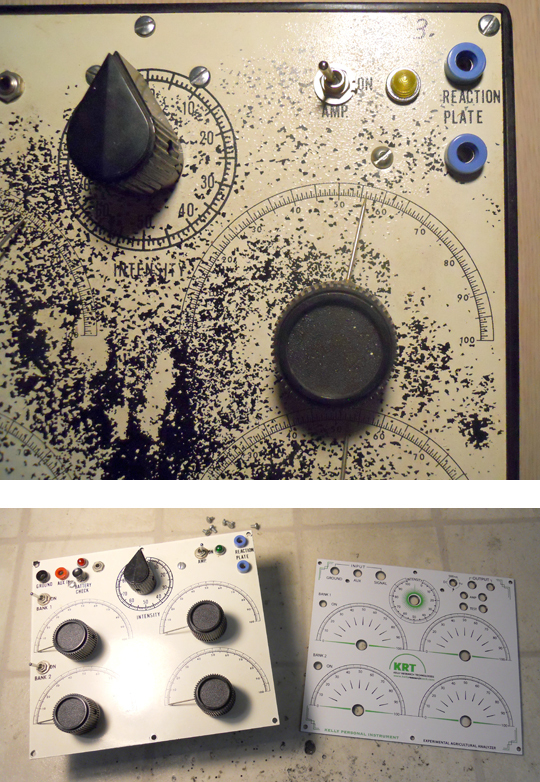 Is your your Kelly Personal Instrument looking worn, dirty, and tired from decades of radionic research? Are the rate dials scratched or hard to read? 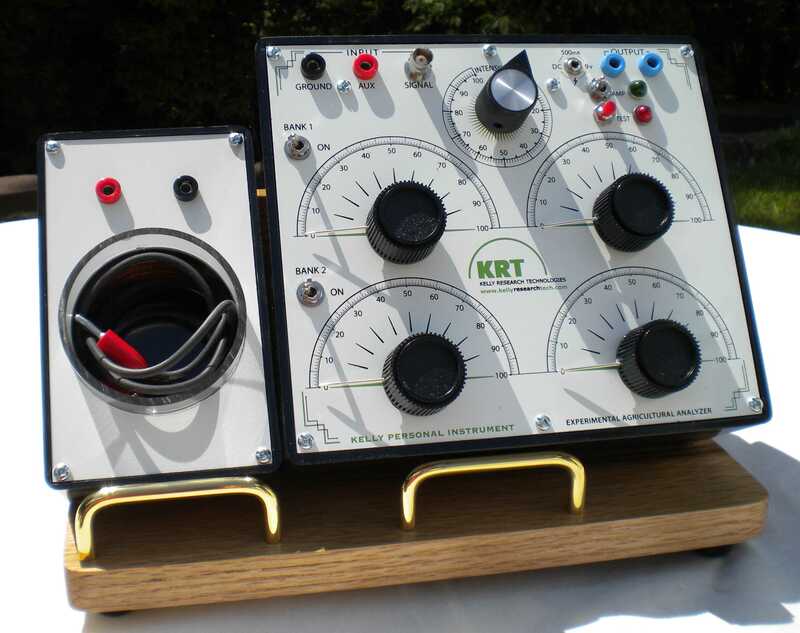 Let KRT replace the front panel and surrounding bakelite case on your instrument with brand new ones. These upgrades include inspection, internal cleaning, recalibration, and bench testing of the entire analyzer. 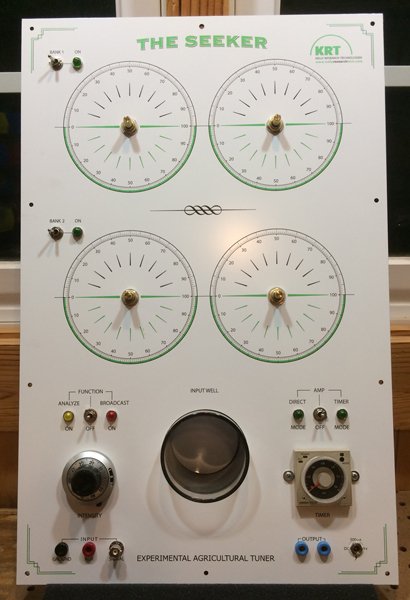 The Original 10-Hour Timer: From 1983 to 2012, Kelly "Large Ag" Workstations, The Seeker, and The Beacon instruments were equipped with 10-hour electronic timers designed and built by Nicholas "Ron" Corrao of the L-Ron Corporation in Crystal Lake, Illinois. After his untimely passing and the closing of L-Ron Corporation, KRT searched for a replacement. A New 16-in-1 Timer! The Omron Adjustable Timer arrives pre-configured on every Seeker, Beacon, and Workstation to operate as a 12-Hour Timer. However, in a matter of moments the Omron timer can be set to any combination of four numerical and four time modes. This allows the operator to select automatic timing with a range of as short as 1.2 seconds to as long as 300 hours without sacrificing simplicity of operation. Upgrade Your Instrument: Any pre-2012 Seeker, Beacon or Workstation instrument may be upgraded to the new, full-featured Omron Timer. Simply send us your instrument and we will take care of the rest! Please click here for detailed information about the use of the Omron 16-1 Adjustable Timer.